Our spine is an extremely delicate and complex structure, so when injuries do occur, they can be extremely serious and difficult to treat. Injuries to the C1 and C2 vertebrae are rare, accounting for only 2% of spinal injuries each year. However, they are also considered to be the worst spinal cord injury that it is possible to sustain, and often fatal. For patients who survive, treatment and outcomes for C1 and C2 injuries can vary greatly between individuals. What are the C1 and C2 vertebrae? The C1 and C2 vertebrae are the highest of the spinal vertebrae and are located at the very top of the neck, connecting the head to the spine. The C1 vertebrae is named atlas and the C2 vertebrae is named axis. As well as protecting the spinal cord, these vertebrae are primarily responsible for facilitating and controlling the large range of movement that your neck has, and supporting the considerable weight of your skull at the tip of your spine. 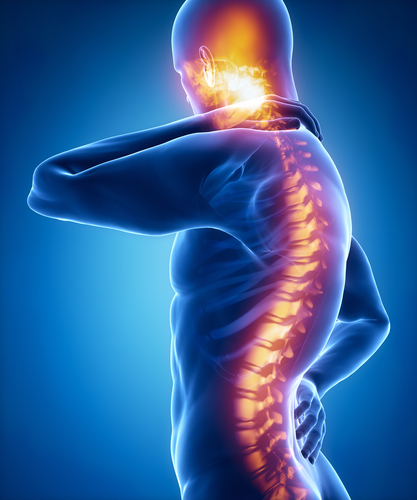 Their position means they are often referred to as the cervical spine, and injuries to the C1 and C2 vertebrae are often referred to as cervical spinal cord injuries. - Inability to breathe independently without assistance (C1 to C4 injuries). - Inability or impaired ability to speak (C1 to C4 injuries). - Loss of sensation, numbness or tingling below the neck. - Partial or complete paralysis in the torso, arms and legs. - Loss of bowel/bladder function. - To stabilize and secure the neck to prevent any further damage occurring. - To regulate breathing and stabilize independent or assisted respiratory function. - To assess immediate medical concerns that may cause further complications, such as excessive blood loss. - Pain management using suitable medications. - Steroid injections to reduce inflammation. - Surgery, if necessary, to reduce any pressure placed on the spinal cord. - Physical therapy to help the patient regain as much mobility as possible in the affected areas of the body, and to maintain strength and function in the unaffected areas. - Counselling, therapy or other mental health support. A cervical spinal cord injury will completely change the life of the patient, and supporting them emotionally while they deal with the limitations of their condition, as well as the challenges of rehabilitation, will be essential if they are to recover as successfully as possible.